Maui Electric West Maui Hurricane Lane response. Since Wednesday, Maui Electric has worked around the clock to restore service to a majority of the 4,000 remaining customers left without power after impacts from Hurricane Lane. 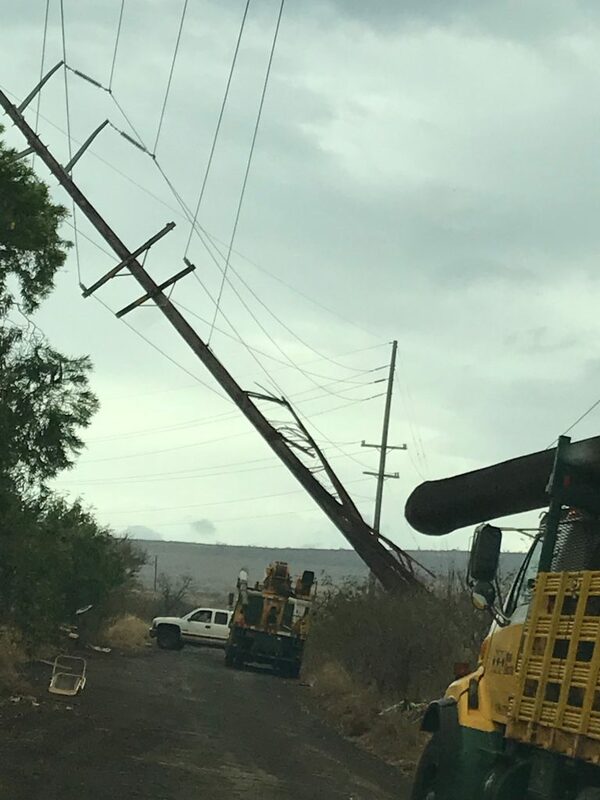 By 2:55 a.m. this morning, repair crews brought all affected customers in Lahaina back online, and are continuing work to restore small pocket outages in West Maui, Upcountry and Ha‘ikū. 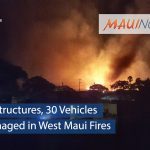 Additional crews, contractors and resources, including crews from Hawaiian Electric Company, are deployed to support these ongoing restorations efforts. Maui Electric’s Customer Service and Engineering offices will reopen to walk-in customers on Monday, Aug. 27. The company closed its business offices last Friday due to hazardous weather and dangerous road conditions caused by Hurricane Lane. 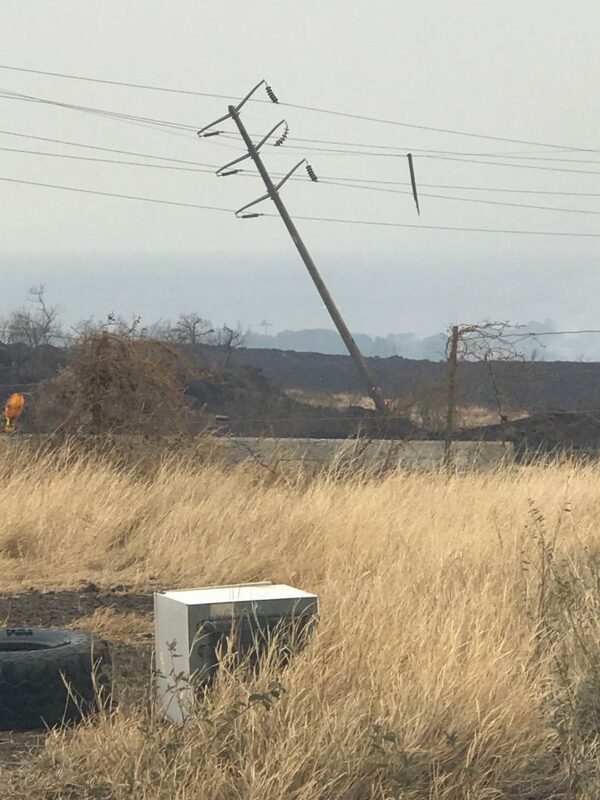 Should customers experience any outages or encounter downed power lines, please report them to Maui Electric’s trouble line at 871-7777 on Maui or toll-free for Lānaʻi or Molokaʻi at 1-877-871-8461. Maui Electric crews, along with help from additional crews, contractors and resources, restored power to a majority of the 4,000 customers without power in West Maui and isolated pocket outages in Upcountry, Haʻikū and Waiheʻe by 2:55 a.m. this morning. Crews continue to work on remaining pocket outages. These areas had experienced outages due to heavy winds and downed trees on Friday as Hurricane Lane made a pass below the island chain. On the roadways, technicians on Maui brought up traffic signals by around 7:15 a.m. on the Honoapiʻilani Highway and Piʻilani Highway after Maui Electric Company conducted power restoration. Crews from the State Department of Transportation also cleared two landslides on Honoapiʻilani Highway at Miles 38 and 36 late last night. This morning at 7 a.m. on Sunday, Aug. 26, 2018, crews were responding to landslide blocking both lanes of Hāna Highway at mile marker 10. At 7:55 a.m. on 8/26: crews were responding to another landslide on Hāna Highway at Mile 23 that was blocking both lanes. Motorists are advised to avoid the area. 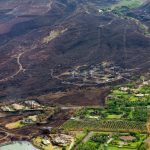 Additional crews, contractors and resources, including crews from Hawaiian Electric Company, were deployed to support the restoration effort. The impacts from Hurricane Lane, initially left approximately 11,450 customers without power on Maui and Moloka‘i.